Now watching videos or sending WhatsApp messages has become easy with the installation of high speed WiFi facility. THIRUVANANTHAPURAM: Passengers waiting for trains at Trivandrum Central can now surf internet for free. Now watching videos or sending WhatsApp messages has become easy with the installation of high speed WiFi facility, which was activated on Friday. Public can access the WiFi using their smartphones. The facility was inaugurated by Sashi Tharoor MP who checked the speed of the service using his smart phone. He said that the speed was good inside the station than at the entry. The users get internet speed upto 20 mega bits per second (MBPS) per device. For the first one hour of surfing the speed will be 3 mbps and after that the speed reduces to 1 mbps. All these things are good enough reason to consider the railway station as the next cool hangout place in the city among youngsters. The city station becomes the fourth in the state to get the facility after Ernakulam South, Thrissur and Kozhikode. It is one of the busiest in the state with around 40,000 footfalls per day or 1.5 crore footfalls every year. To manage the WiFi facility the station has been installed with 35 access points (hot spots), 18 access switches and 3 fibre switches. One hotspot can cater to 70 customers at a time. The WiFi facility was commissioned by RailTel Corporation, one of the largest neutral telecom service providers in the country. Internet giant Google is the technology partner to manage the server and hotspots. RailTel has commissioned WiFi services in 71 stations in the country. “21 more stations will join the list soon. 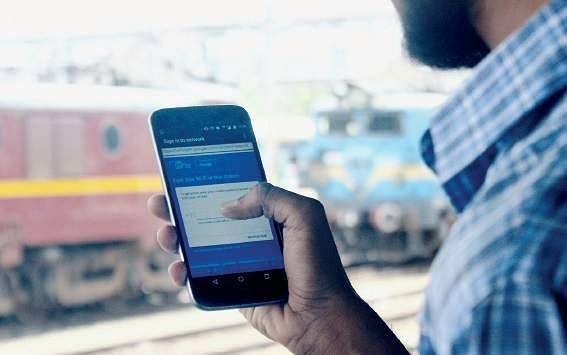 Kollam station will get the WiFi next month,” said Anoop Jose, Deputy General Manager of RailTel. Installed a few months ago the free WiFi has become very popular among the youths in Ernakulam and Thrissur. According to Anoop youngsters spend more time on the platform to watch their favourite videos. RailTel has not installed hotspot on foot over bridges as a safety precaution. Trivandrum Divisional Railway Manager Prakash Bhutani said that Trivandrum Central station is going to get an additional platform in a month. Seven new escalators and 6 lifts will make platform hopping easier.